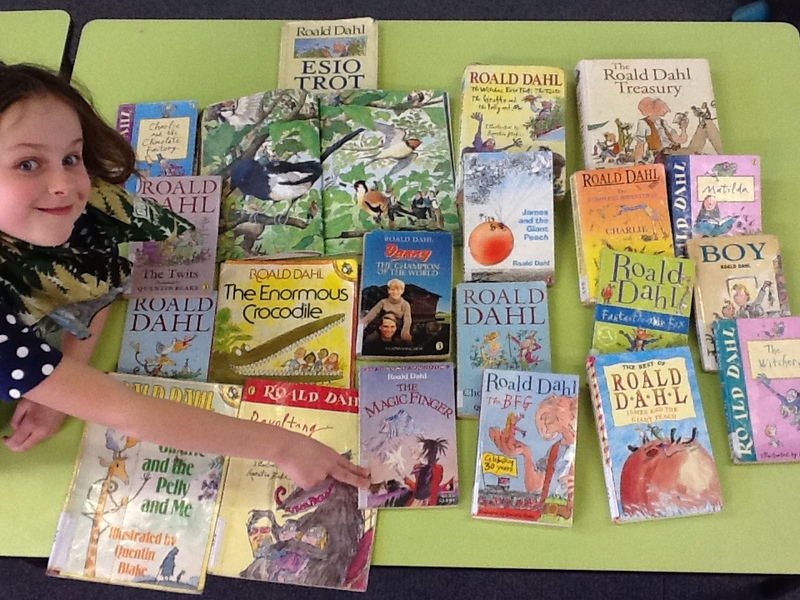 Thorndon school library - What's New? Look up there - is that a bird or a dinosaur? Check out our box of Dinosaur books at 567.9. Birds are in the 580 box. To celebrate Trick or Treat - Tell us which are the Scariest and Funniest books in the library. Look to see the book covers on the library wall display. Halloween, or the Hallow E'en as they call it in Ireland, means All Hallows Eve, or the night before the 'All Hallows', also called 'All Hallowmas', or 'All Saints', or 'All Souls' Day, observed on November 1st. In the ancient Celtic calendar this was New Year's Eve, when souls of the dead were supposed to visit their homes. Bonfires were lit and fearsome heads cut into turnips and pumpkins and lit by a candle were to scare away evil spirits thought to be around on that night. Before then there was a pagan festival for the dead which the Catholic church replaced with All Saints day, which was later moved to 31st October. 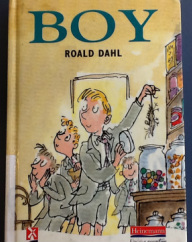 Roald Dahl was born in 1916. In his lifetime he wrote many short stories, amazing tales for children, poetry, plays, non-fiction and even film scripts. Did you know he wrote the film script for Chitty Chitty Bang Bang - who else could help create such a creepy character as the Child Catcher? Boy is about his childhood, Going solo is about him as a young man. He wrote both these books so they are autobiographies. A biography is about someones life. An autobiography is written by that same person.